Lose Body Fat - Not Your Mind! Lose Body Fat – Not Your Mind! 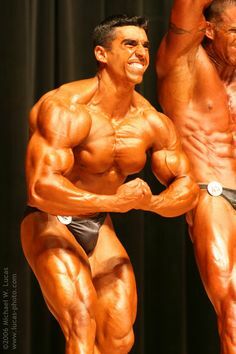 As you probably already know, losing body fat has to be one of the most challenging , if not most misunderstood, endeavors that any bodybuilding aficionado can undertake. Losing body fat is not rocket science, although in our society you’d think it was, with the legion of rip-off infomercial shape-up gizmos, the monthly “diet of the month” book releases, and the abundance of weight loss pills being pushed by pharmaceutical companies. Losing body fat is easy once you know the simple rules, but it does take a little discipline, often more than the hapless, average soul possesses. Those who are incapable of applying a little discipline to their eating habits are condemned to fail time after time, wandering from one weightloss quick-fix to the next. Frustration builds, leading to resignation or worse, cynicism. This is why I hate infomercial companies. I think that they are full of deceiving, heartless marketers selling false hope to naive people. Their diet and exercise gizmo infomercials are the worst. They prey on people desperate to try anything to alleviate their deplorable overweight condition. I delight every time the Federal Trade Commission jumps all over one of these infomercial companies. Chalk one up for the consumer. But it’s not just infomercial companies who are guilty of misleading overweight consumers. Misinformation rears its ugly head in many forms, even in the sports supplement business. Take a look at some of the recent lawsuits brought on against well-known supplement companies by state attorneys general and consumers alike. To a ruthless marketer, weightloss product consumers are the dream target market; consumers who are willing to shell out big bucks, then all too willing to blame themselves, and not the product they purchase, when they don’t lose weight. Imagine buying a refrigerator, having its motor burn out the first week, then throwing it away, figuring “I must not have done something right!” Insanity. My disdain for misinformation, and worse, misinformation fabricated to deceive consumers, stems from the fact that every time someone gets burned by a weightloss quick-fix, it makes it that much harder for me to get through to that person with the real deal, the correct information, the key that will turn their life around. And what is the “real deal”? Let’s start by defining fat loss and weightloss. They are not one and the same. You’ll note that I began this article with the mention of fat loss, then ranted about weightloss and the ugly state of the weightloss products market. Fat loss, as the name implies, is the loss of, or reduction of, body fat. Fat loss may or may not result in weight loss. For example, if you lose three pounds of fat and gain four pounds of muscle at the same time, you experience a net weight gain of one pound. Weightloss, on the other hand, is the loss of body weight, irrespective of whether it is fat weight or lean tissue (read “muscle”) weight. 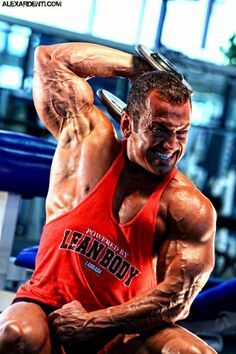 Lean muscle tissue is the body’s metabolic engine. It is the most energy intensive tissue in the body, requiring more calories for maintenance than fat tissue. There is a direct correlation between the amount of muscle mass you have and the number of calories you burn at rest (basal metabolic rate). Loss of any muscle tissue results in a loss of metabolism, making it harder to burn fat. 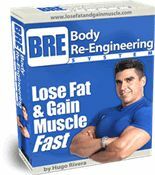 Achieving fat loss while preserving lean muscle tissue should be the overriding concern of any individual wanting to lose fat and unwanted inches without destroying his metabolism.That being said, let’s outline the ideal way to drop body fat while preserving lean muscle tissue. The bottom line on body fat (adipose tissue) is that it is a storehouse of excess calories. To get rid of fat, you must burn more calories than you take in on a daily basis. So being in a caloric deficit is important. Being in a caloric deficit is the one thing that both fatloss and weightloss programs have in common, but that’s where the similarities end. While weightloss programs often focus on caloric restriction to the exclusion of all else, fat loss programs go further, addressing the composition of the food calories in the diet. This is vital to the proper nourishment of that all-important lean muscle tissue. Do not restrict total dietary intake by more than 500 calories per day. This is particularly important because you do not want to lose weight so fast that you alarm the body into thinking it is in a starvation mode. Severely restricting calories will cause your body to respond by slowing its metabolism to conserve energy. A pound of fat contains 3500 calories. A daily caloric deficit of 500 calories per day will result in a weekly caloric deficit of 3500, or the equivalent of one pound of fat. Keep in mind that simply cutting calories does not guarantee that the weightloss is coming from stored fat; to ensure that the loss comes from fat, other considerations must be addressed, including food composition, meal frequency and exercise. Do not lose more than two pounds of bodyweight per week. 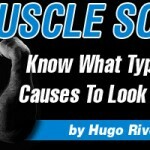 This is yet another good rule of thumb to ensure that no lean muscle tissue is lost during the dieting phase and that the metabolism is not slowed. Remember that it is easier for your body to break down muscle tissue for energy than fat tissue. The rate of weightloss is a key indicator to watch. Take in at least one gram of protein per pound of bodyweight per day. Remember, “Feed the muscle first.” You must feed muscle tissue with high quality protein to nourish it and protect it from breakdown, especially when you are in caloric deprivation. Protein is the most energy-intensive macronutrient to digest. That means it takes more calories to digest a gram of protein than either a gram of carbohydrate or fat. For protein to be converted to fat, it must first be broken down into amino acids, converted to glucose (blood sugar) in the liver, and then to fatty acids. What all this means is that it’s hard to get fat by over-eating protein! Protein intake should make up about 30-40% of your daily calories. Try chicken, turkey, fish, or a high quality protein powder like ProV60®. Restrict fat intake. While protein is the most energy intensive macronutrient for your body to digest, fat is the least energy intensive. When you eat fat, your body will either immediately use it for energy, or deposit it as bodyfat. While this is a very simple, very efficient mechanism from an evolutionary, and a survival view point, it’s very bad for modern man trying to maintain a lean body! Minimize fat in your diet to no more than 20% of daily calories. More than that is unhealthy, not to mention unproductive, for body fat loss (remember, that’s not the same as “weight loss”). Do not misinterpret this as an outright condemnation of all fats. There are fats that are not only essential for life, but helpful for fatloss. These are called essential fatty acid (EFA’s). You can get your EFA’s by supplementing your diet with one or two tablespoons of flax seed oil daily, or try EFALean™ Essential Fatty Acid Blend. Restrict simple carbohydrate intake, focusing instead on complex carbs for energy. This is one of the most common areas in which dieters screw up. Not all carbohydrates are created equal. While all carbohydrates are broken down to blood sugar, the point of differentiation is the rate at which they are converted to glucose. Simple sugars like sucrose (table sugar) are quickly broken down to glucose, eliciting a massive insulin discharge from the pancreas. Glucose that is not immediately used for energy is converted to triglycerides and deposited as fat. Insulin “spikes” bring fat breakdown to a grinding halt, and signals the body to deposit fat. Complex carbohydrates such as starches take much longer to be broken down to blood sugar. 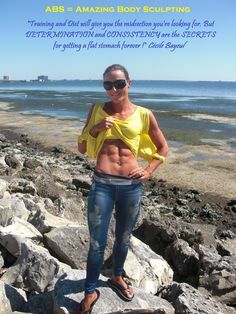 This more gradual conversion of complex carbohydrates to glucose gives your body a chance to use the glucose for energy; it also eliminates the insulin spikes that are anathema to fat loss. Carbohydrate intake should be kept to no more than 50% of calories. Eat five to six small meals per day. Every time you eat, your metabolism is stimulated, especially when your meals contain protein. Frequent feeding also eliminates over eating, helps in the management of insulin levels (read, “keeps blood sugar steady and insulin levels low”), and provides a steady stream of muscle nourishing amino acids and nutrients. Each meal should contain protein, carbs, and fat in the same ratio as the overall daily ratio of protein, carbs, and fat. A good meal replacement like Lean Body® is an ideal way to ensure compliance with a rigorous 6 meal per day program. Train with weights… but of course, you are already doing that, otherwise you wouldn’t be reading this! Be consistent. Dieting for fat loss is not an on again, off again thing. For your program to work, you must be consistent with it. This is where discipline comes in. You must want to lower your body fat strongly enough to stick with your program. Set short term and longer term goals, and measure your body fat composition to gauge your progress and give yourself that invaluable feedback that is necessary to keep you motivated. Unfortunately, they don’t sell willpower in a can yet! This program comprises the “real deal” that I spoke about before. Exercise and good nutrition are the only way to lower, and more importantly control, body composition and keep body fat in check over the long haul. Simple, powerful, and effective! 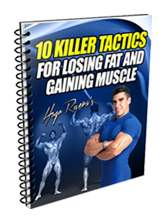 Of course, there are more details to a complete body fat reduction/management program, but these are the most powerful ideas, and they should serve you well as a foundation to build on. Leave a Comment with Facebook for Lose Body Fat – Not Your Mind!